For patients with normal or slightly limited levels of mobility, friction between their heel and bed can contribute to the development of pressure sores over time. 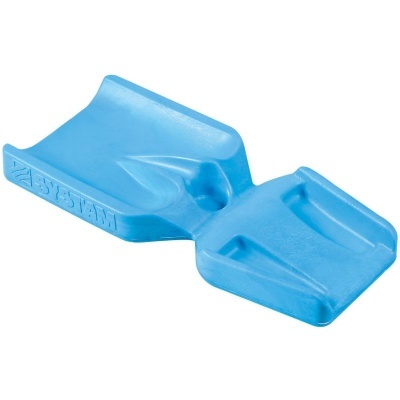 The Systam Memory Foam Pressure Relief Heel Support is made with fabric coated with bi-stretch polyurethane, reducing friction, shear effects and the subsequent pressure sores that they can cause. This pressure relieving heel support sets itself apart from the competition with its intelligently designed core, with a number of unique benefits. The sides of the forefoot are hollowed out, diverting pressure towards the surrounding areas that are less susceptible to pressure sores. The heel area is also hollowed out, providing excellent protection against friction. Finally, the Achilles tendon is protected by side supports, directing pressure toward the lower-risk retromalleolar regions. The flexible supportive action of the support is demonstrated in the graphic below. 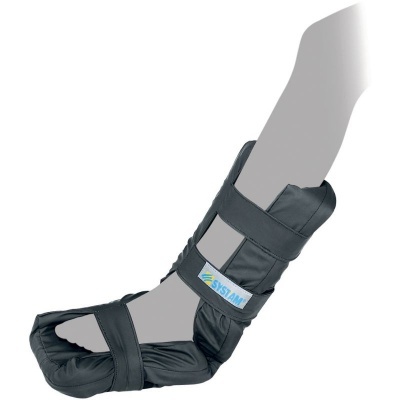 Unlike most systems attached to lower limbs using belts and Velcro fasteners, the Systam Memory Foam Pressure Relief Heel Support is entirely protected by a cover and features a particularly comfortable and easily adjustable attachment system. This system offers sustainable support, maintaining the device in the right position and making it exceptionally easy to apply. The Systam Memory Foam Pressure Relief Heel Support is particularly well suited to patients with normal or slightly limited mobility. It is also ideal for the prevention of pressure sore development in agitated patients or those subject to constant movement of the lower limbs. When placed into this support system, the heel sinks into the memory foam, which reduces pressure peaks in high risk areas. This action makes this heel support perfect for a wide array of users, in addition to those mentioned above.